The influence of the increasing digitalisation on the production of food is one of the central themes at Anuga FoodTec in Cologne from 20 to 23 March 2018. Smart factories are to be set up in practically all industries of the food industry, where the machines and products organise, steer and control themselves autonomously. Whether Greenfield or Brownfield, the course in the direction of Industry 4.0 is already being tread – now the task at hand is to solve the networking challenges. Smart sensors are the answer here. The unmistakable aroma that flows through the Nestlé factory in Schwerin arouses curiosity – no wonder because experiencing the production of coffee is something special. Seven production and packing lines on-site are in operation around the clock and these are to be expanded up to twelve. In the planned final expansion stage they will produce two billion Dolce Gusto capsules a year in around a dozen different flavours. The Swiss company has invested 210 million Euros – and has equipped the location in Mecklenburg-Vorpommern with state-of-the-art technology. Each line produces up to 1,000 capsules per minute. Cutting edge sensor and weighing technologies ensure the high filling capacity. The fact that the process and diagnosis data is passed on from the field level through to the management level is not actually new. Today, the machines are connected with each other in order to ensure the seamless traceability of the entire process chain. The next step is the direct communication between the individual system modules in real-time – M2M communication. Static IT solutions quickly reach their limits here, because the intelligent factory comprises of decentralised production environments with different components, each of which have their own data sources. Without Cloud computing the growing amounts of data can no longer be processed and evaluated ad-hoc. In future the data cloud is not just to be implemented at management level, but also in the machine room. The central challenge here: Synchronising the virtual representation of the production and the “real” production with the representation. Even modern Greenfield factories like that of Nestlé don’t correspond with the understanding of Industry 4.0 in this aspect. Also in the maintenance section, for instance for predictive maintenance, the machines have to independently report back information on their operational state to the maintenance personnel. Intelligent sensor systems take on a key role. In addition to values such as pressure, volumes and temperature, the artificial “sensory organs” also measure oscillations and vibrations. Based on this status data, the production is to monitor itself to a large extent. Yet this alone does not suffice. Industry 4.0-compatible sensors like those that will be exhibited at Anuga FoodTec, also have a further interface in addition to outputs for the system control. This allows them to be linked up to Cloud services. The inter-disciplinary research project Robofill 4.0 shows the course that the industry is taking. The aim of the scientists from the Munich Technical University and from the Fraunhofer Institute for Tool Machines and Forming Technology is a flexible automation concept that allows drinks to be filled up to the batch size 1. The companies Beckhoff, Krones, Proleit, Yaskawa, Siemens, Till and Zimmer as well as the state brewery Weihenstephan are the partners of the project. The direct involvement of the consumer occurs via an online portal which enables the compilation of the drinks and the selection of the vessels. A direct inkjet imprint is foreseen for the individual design of the bottles. Stephan Birle is coordinating the project at the Munich Technical University. For him the focus lies on a decentralised control concept, which is responsible for the coordination of the system’s modules. “At the moment there is no dynamic filling concept for medium-sized companies which would allow a format and batch size flexible production for a few bottles through to the unique specimen,” commented Birle. This is exactly where Robofill 4.0 comes into play – with the development of a filling system, where as cyber-physical systems all components communicate with each other as well as with the superimposed production planning using Cloud technologies. The special feature: The product itself has a virtual representative which contacts the individual modules so that the bottles can independently control themselves through the filling process. Machines and process that are equipped with artificial intelligence create the prerequisite for more flexibility in the production. In the case of an ideal typical Greenfield project like the coffee capsule factory in Schwerin, modern sensors can be applied from the very beginning. In contrast to the highly productive Greenfields in the food industry, the reality is very different in the case of many of the Brownfield factories. In some cases their machines have been in operation for 15 years and rely on a totally different infrastructure than what is demanded in the smart factory. So that these can also produce competitively in the future, they have to be optimised in compliance with Industry 4.0. The integration of existing machines into smart processes using modern sensors and actuators will thus play a key role at Anuga FoodTec. The visitors will be able to see how real the smart factory is and which challenges are involved in implementing the vision at the world’s most important supplier trade fair of the food and beverage industry. The exhibitors will be presenting solution packages for Greenfield and Brownfield systems, which allow the processes to be digitalised in line with the requirements of Industry 4.0 at the Cologne fair grounds from 20 to 23 March 2018. The next Anuga FoodTec will take place from 20 to 23 March 2018 in Cologne. The trade fair is jointly organised by Koelnmesse and the German Agricultural Society (DLG). Koelnmesse – Global Competence in Food and FoodTec: Koelnmesse is an international leader in organising food fairs and events regarding food and beverage processing. 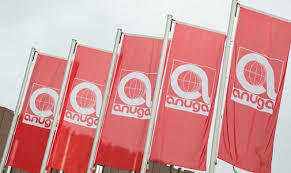 Trade fairs such as the Anuga, ISM and Anuga FoodTec are established world leaders. Koelnmesse not only organises food trade fairs in Cologne, Germany, but also in further growth markets around the globe, for example, in Brazil, China, India, Italy, Japan, Thailand, the United States and the United Arab Emirates, which have different focuses and contents. These global activities enable us to offer our customers a network of events, which in turn grant access to different markets and thus create a basis for sustainable and stable international business.